Since a long time it was quiet still here on my blog with gear reviews, but during the last year and winter I could test lots of interesting gear and wanna share now my experiences with you. I have read severeal reviews in the past and was inspired by the well structured reviews from BPL and Hiking in Finland. So I will try to get also a structure in my upcoming reviews to get a better overview for you. For some time I was looking for a bigger pack which could replace my LAUFBURSCHE huckePACK for winter and packrafting trips with lots of gear. I’m still satiesfied with my huckePACK, but this pack is to small when you have to carry a packraft or these bulky down gear for winter. 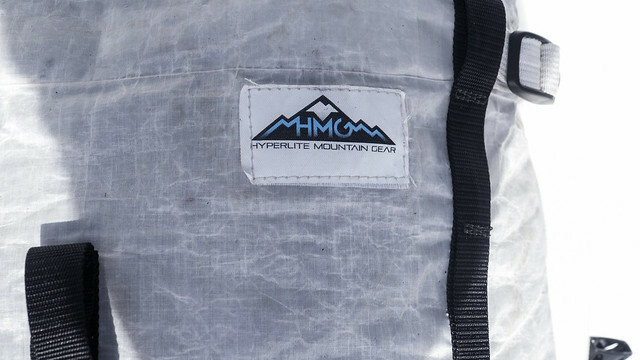 During my research for the „Cottage News 2012“ article I got in contact with Hyperlite Mountain Gear and was asked if I’m interested to test one of their new packs. After a short look in the online shop and some mails a HMG Porter 3400 arrived some weeks later at home. I’ve got this pack last spring and used it since that time on several trip. The first major use was at my packrafting trip in Norway last year. Before and after this trip I also tested the water-resistence of the pack on several packrafting day trips. 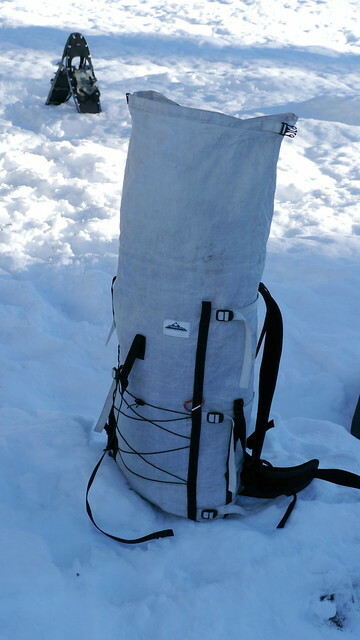 During the winter The HMG Porter was my first choice to carry all my bulky and warm winter gear, skis and snowshoes. 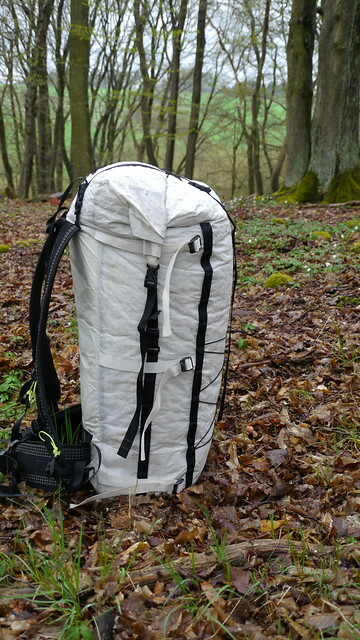 I am 180cm tall and have the HMG Porter in size L. The fit of the pack is excellent and I never had problems with it. So before you order take time to get the right length of your back. The Porter is available in four different lengths (S/M/L/XL). At first I was a bit skeptical in this pack. I could not believe that this Cuben Fiber/Polyester Hybrid Nylon is strong as it is advertised, because a longer time ago I got a sample and was not really satisfied with it, but during my trips I was disabused. This fabric is very durable. 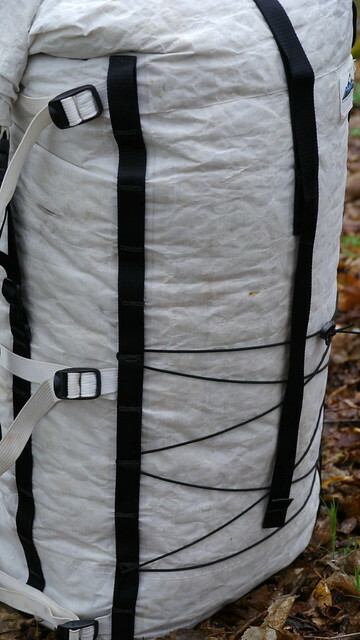 The Hybrid Cuben weighs twice as normal Cuben Fiber which is used for packs, but the abrasion-resistance is enormously. The HMG Porter weighs 865g on my scale. When you remove the aluminium stays you can drop down the weight to 740g. I personally like the support of the aluminiums stays and carry the extra weight of 125g. The hip belt of the Porter is made with a 3mm 3D Mesh on the inside and covered with a wear-resistant Dyneema-X-Gridstop on the outside. 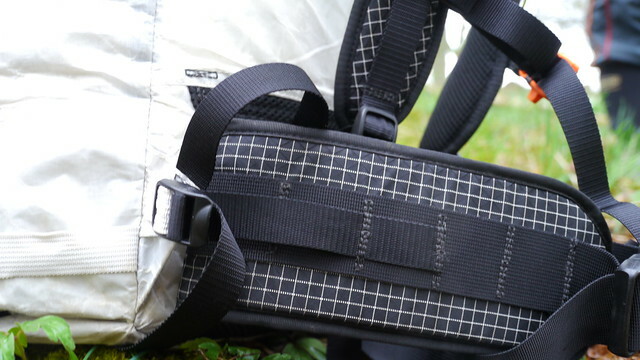 Even though the 3D mesh is not very thick a fully loaded pack is comfortable to carry, use it adapts well to the hip. Furthermore the hip belt is completly sewn to the back of the back and cannot be removed like other hip belts of HMG backpacks. 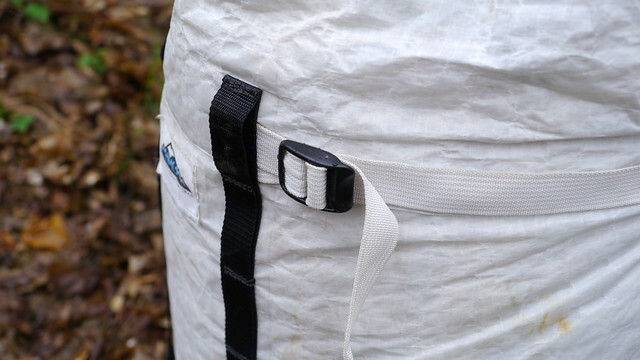 On the hip belt you also have webbing and bar tacks to attach accessoires, but it is really difficult the fix something in this wide webbing. The hip belt is wide enough even if you are wearing lots of warm extra clothing and the buckles are big enough that you can press them with warm winter mitts. On each side of the pack you have three compression straps. With these straps you can adjust the volume if you do not need the complete 3400cu or fix your skis, a seat mat or something else. The HMG Porter has a simple suspension system. On the back there is padded back panel with a lumbar support for more comfort when hiking. You also have two slide-in channels where you can add to additional aluminium stays. The roll-top has an incorporated velcro, so you van close the velcro and roll the top and nothing can slip away. Then you have two options to close the top. 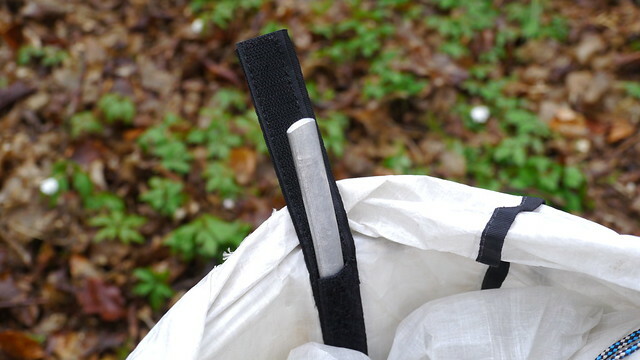 First option is to close the top like a dry bag and the second option is to use the hook and loop for a storm-proof securing and to keep the elements out. Furthermore you have a Y-Strap compressor system for extra security or to fix a CCF mat or snow claw. The shoulder straps are also made with 3D Mesh and Dyneema-X-Gridstop and are wide enough that they do not cut into your shoulder. They are not sewn at a right angle which is better for the fit of the pack. 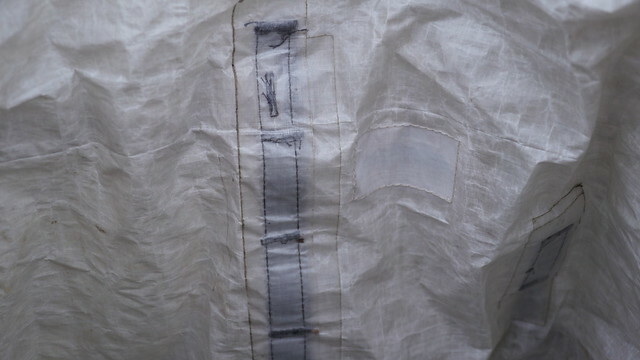 On these straps there is also a webbing which is smaller than the one at the hip belt, so it is easier to attach something like a small compass or a shoulder strap pocket. Finally you have a chest belt with an emergency whistle. There are two long exterior daisy chains along the which allows you to attach lots of things with small carabiners or just some elastic cord. With these daisy chains you are very flexibel on each trip. So you can decide to keep your pack clean or adding some extra gear on the outside. The HMG Porter is a fantastic pack with a superb quality. The stitching is well made and much better than many other packs I have seen before. All stress points have reinforcements and all seams are taped that no water can get into the pack. The design of the pack is simple and clean, but very versatile. Before I brought my HMG Porter to Norway for the Vassfaret trip I made several day trips on our local streams to test the waterproofness and the performance on the boat, because I never paddled with a pack on the boat before. With two long straps (around 2 metres) it is really easy to attach the pack on the boat. The hipbelt is not removable so I closed this on the back of the pack so he does not get stuck somewhere and may break. Furthermore I put the pack with the shoulder straps on the boat that the clean body is on the outside, so I could also attach some small things on the daisy chains. The waterproofness of the pack is superb. At first I was a bit skeptical, but after I paddled through some rapids and on a rainy day everything in the pack stayed complete dry. The only water I had in the pack was from the rain when I opened the pack through a break to get out the stove for a warm tea or to swap the windshirt against the rain jacket. But for safety reasons I carried a MYOG Cuben liner on my Norway. Just in case. Carrying the pack with the complete packrafting gear was very comfortable. At the start I had around 17kg including 2 litres of water, food for 7 days, boat, paddle, life vest and all the gear. I finally would say that it is possible to carry a weight of maybe around 22-25kg without any problemsif you are on a longer adventure. During my trip the boat was attached on the outside of the pack, because the volume is too small to put all the packrafting gear in the pack. Carrying the pack on the right position was a try and I tested several positions during that trip. At first I carried the boat on the side and attached it with the compression straps and the same on the other side with the paddle. Closing the roll-top with the hook and loop is difficult in this position so I had to close the pack like a dry bag. After a day of walking I changed the position of the boat, because it was annoying when running. The second position I have tried was to attach the boat with the straps on the back of the HMG Porter. Thereby the center of gravity was further laid back which also was not comfortable when walking. 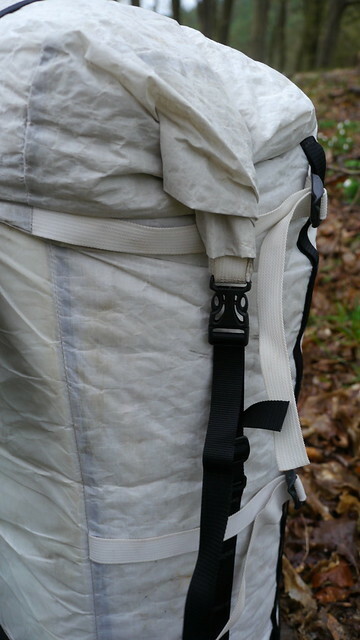 The most comfortable position for the packraft while running is to attach it in a roll under the pack. Sometimes I missed a small pocket in the pack which was added to the newer packs, where I could store a key, money or other small stuff. So must of the time I had an extra Zip-Loc, where I put all these stuff in. Putting small things into the inner mesh pocket is also OK when you wanna seperate these things from the rest, but it is really hard to get these things out during the day when the pack is full of gear. So I really don’t know if these mesh pocket is neccessary. You could store a seat mat there, but after a break it is hard to get the mat back there. During the winter month the HMG Porter was again my first choice. The waterproofness and the big volume was crucial to take this pack and not my LAUFBURSCHE huckPACK which I also like very much. 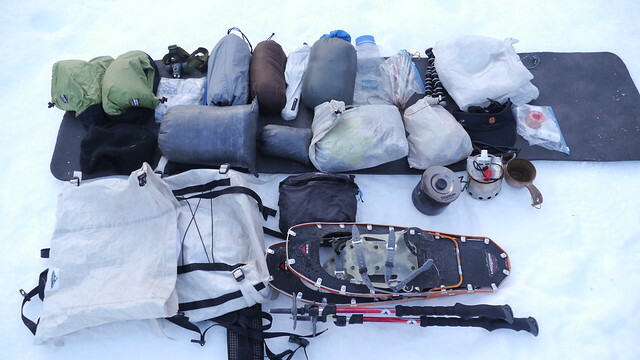 On winter trips you carry lots of warm down gear. 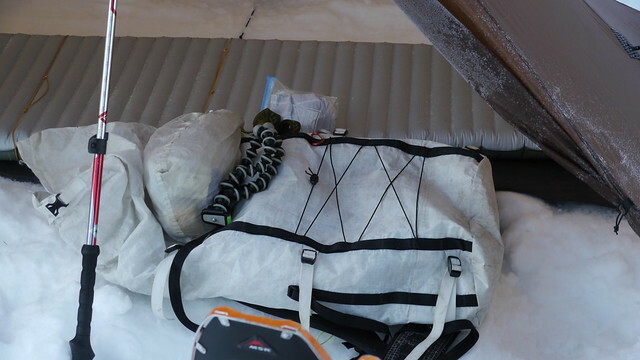 These down garments and the sleeping bag are not really heavy like a packraft, but it is better when they have a bit more space where they can loft. During my winter trips in the alps and local woods the Porter was very heavily used specially on my last ski trip, because I’m not the best skier and crashed constantly, but the Cuben Fiber Hybrid Nylon mastered this without any damage. On my trips in winter I had temps down to-24°C during the night and heavy snow storms on the day and the performance was still excellent. In this cold nights the Cuben Hybrid Nylon got slightly firmer, but that is in my opinion normal when things get in touch with cold temps. 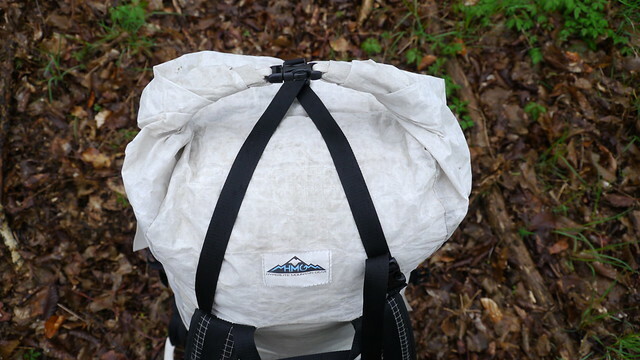 The roll-top of the Porter is after a year of use a little more worn than the rest of the main body, because you constantly unwrap and roll up the pack when you need something, but it still works excellent and is 100% waterproof. 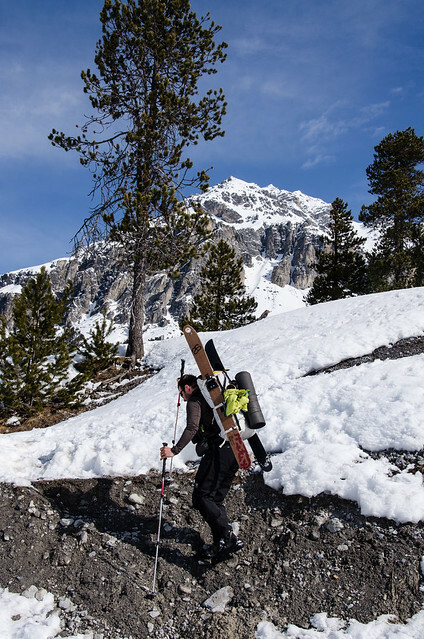 With the compression straps you can fix your snowshoes or skies quickly and easily to the pack when you have to traverse a stony passage in the mountains. Forrest McCarthy really likes his HMG Porter and wrote some notes here. Martin Rye is another HMG customer and reviewed the Porter last year. If you are a BPL Member you can check out a living review of the HMG Porter by Ryan Jordan and Chris Wallace. Finally there is a review of the HMG Porter 4400 from Philipp Werner. 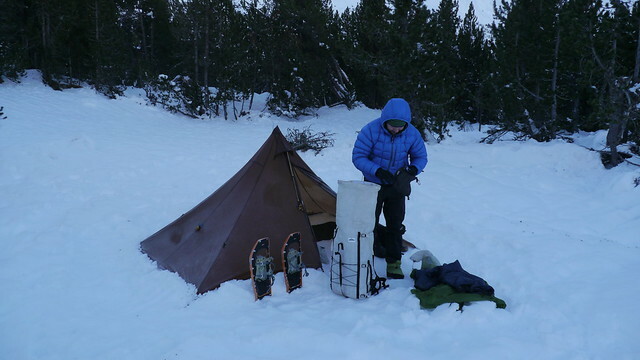 There are lots of packs on the market which can be used for winter or packrafting trips, but most of the packs are heavier than the HMG Porter. A competing for the HMG Porter ist the new Exped Lightning 60 which has an aluminium frame and can also handle weights of around 20kg without problems. 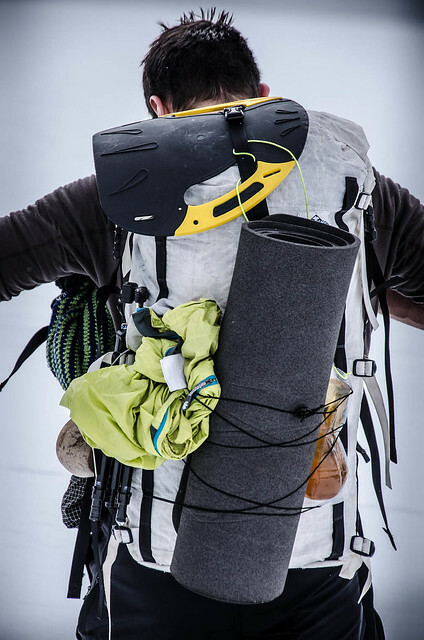 If you specially looking for a packrafting pack the ULA-Equipment Epic is an very interesting pack. For those who have some extra bucks McHale makes custom packs for each use. Overall I am really satisfied with my HMG Porter, but there are still some small improvements which I find very useful and would like to have on my pack. At first I would like to have a simple mesh pocket on every side of the pack. I do not like to carry a water bottle on the shoulder straps and I am not a friend of drinking systems when hiking. On my trips I have most of the time a simple Platypus Soft Bottle with me and it is easier to put these in an outside mesh pocket for quick access than to drop off the pack and store the bottle inside. Furthermore I would add some load lifters to the HMG Porter to have a better control and balance when the pack is fully loaded. All others things I missed when I got the pack are now added to the shop and pack. What should I say?? I am really really satisfied with my Hyperlite Mountain Gear Porter. This pack is the perfect compromise if you need lots of space for packrafting gear or all the bulky winter gear. The design of the Porter is very clean and if you need some extra space you can attach you gear on the outside of the pack. If you do not need the whole volume of 3400 cu you can compress the pack with the straps. The roll-top compressor strap is perfect to fix a CCF pad or a snow claw at the pack. Instead of the stuff pocket you can also attach some elastics between the daisy chains where you can store a windshirt or the CCF pad if you do not like it on top. 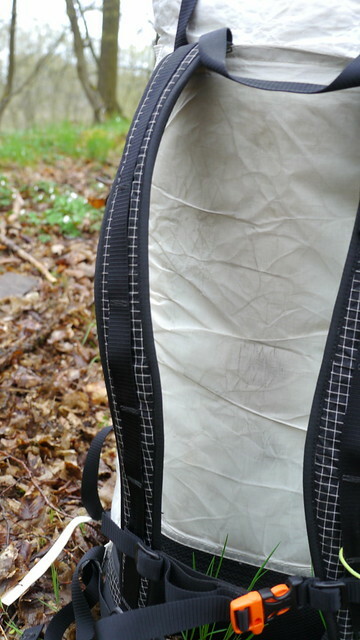 After a year of use the Cuben Fiber Hybrid Nylon fabric is still in excellent conditions and waterproof. Only at the bottom there are some discolorations from mud and other dirt, but this does not affect the function and is only a cosmetic error which does not bother me. I will add more photos to see how the quality of the seams and fabric changed after a long time of use. That’s a balanced and nice review. I doubt you need any other structure to the reviews. You used it lots, disclosed, and have varied locations in its use. That speaks in its own right adding to the depth here. pitted bottom. From the USA to the wet Lakeland mountains I cant fault its performance in terms of carrying comfort. role, and packrafting role unlike a Mariposa. The Porter shines bright for me. Other pack makers could look and learn from HMG on clean lines, striping down to what is needed function wise, and scalability of the pack design. All those attachment points have a use. The load lifter debate will go on and on. My view is the attachment point for them needs to anchor to the stays, or a frame sheet to be really effective. will reach for often. But backpacking 3 seasons it’s not in some ways the best choice, but if you’re in to other wilderness travel situations it would be hard to beat. Thanks for these kind word Martin. My bottom is also getting yellow from all the dirt and I will update this post with photos of usage after the summer or in autumn. If the attachment point for the load lifter were connected with thes stays would be nice, but it is not neccessary. I have an LAUFBURSCHE huckePACK without a frame or stays and the load lifter works excellent. Agreed with Martin here. Its nice to see the item getting used in the field. Great photos. Thanks Jake. Anatol and Joe made great photos, but that’s a big problem when you are making a solotrip. It is hard to get ggreat shots of the gear in action. UPDATE: on checking the pealing of the fabric I also found a hole on the main body. There is durability questions to be asked of this pack.